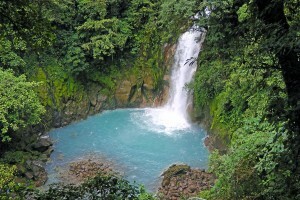 Hotel Vagabondo is also less than 2 hours away from the world-renowned destination of Rio Celeste. This corner of paradise is where; as you hike through the incredible Tenorio Volcano National Park you will come upon a river whose intense blue color will leave you awe-struck. The chemical reaction of the volcanic minerals present makes for an astounding sight that can only be experienced at this unique location. This challenging hike is a full day adventure and includes lunch.